'When Gregor Samsa woke up one morning from unsettling dreams, he found himself changed in his bed into a monstrous vermin.' 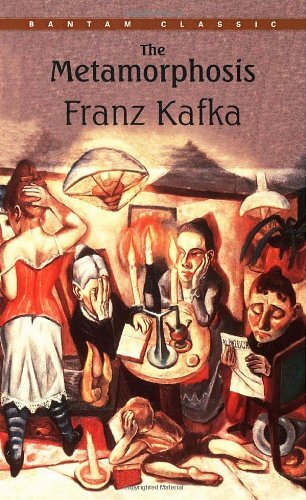 With this startling, bizarre, yet surprisingly funny first sentence, Kafka begins his masterpiece, The Metamorphosis. It is the story of a young man who, transformed overnight into a giant beetlelike insect, becomes an object of disgrace to his family, an outsider in his own home, a quintessentially alienated man. A harrowing -- though absurdly comic -- meditation on human feelings of inadequacy, guilt, and isolation, The Metamorphosis has taken its place as one of the most widely read and influential works of twentieth-century fiction. The story of a nobleman's attempt to redeem himself for the suffering his youthful philandering caused a peasant girl. Tolstoy's vision of redemption achieved through loving forgiveness, and his condemnation of violence dominate the novel. For more than a century and a half, Dream of the Red Chamber has been recognized in China as the greatest of its novels, a Chinese Romeo-and-Juliet love story and a portrait of one of the world's great civilizations. Translated by H. Bencraft Joly. A symbol-laden story of aestheticism and decadence, Mann's best-known novella exemplifies the author's regard for Sigmund Freud's writings on the unconscious. Gustav von Aschenbach is a revered author whose work is known for its formal perfection. Set against the background of the Black Death of 1348, the hundred linked tales in Boccaccio's masterpiece are peopled by nobles, knights, doctors, students, artists, peasants, servants, thieves, gamblers, lovers, both faithful and faithless.